Product information "hand cream - Climbskin 1 year Pack Special"
Climbskin SPECIAL: get 12 free app credits with every Climbskin hand cream! 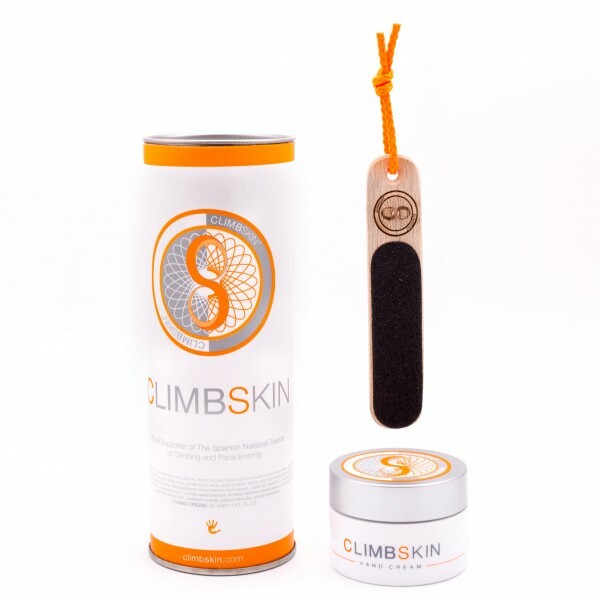 Climbskin is your hand cream developed by climbers for climbers. This hand cream created in particular for climbers, speeds up the often much needed healing and regeneration of the skin. Climbskin hand cream distinguishes itself form other creams because of its excellent absorption and its totally natural ingredients. It is suitable for all types of skin. The manufacturing of this high quality handcreme is processed environmentally friendly, devoid of any animal experiments. Related links to "hand cream - Climbskin 1 year Pack Special"
Customer evaluation for "hand cream - Climbskin 1 year Pack Special"